Make my own goat cheese? I never thought of making homemade cheese since you can get such great local cheese right in the store and all you have to do is pay for it. Done. Add crackers or fruit for an instant cheese platter. 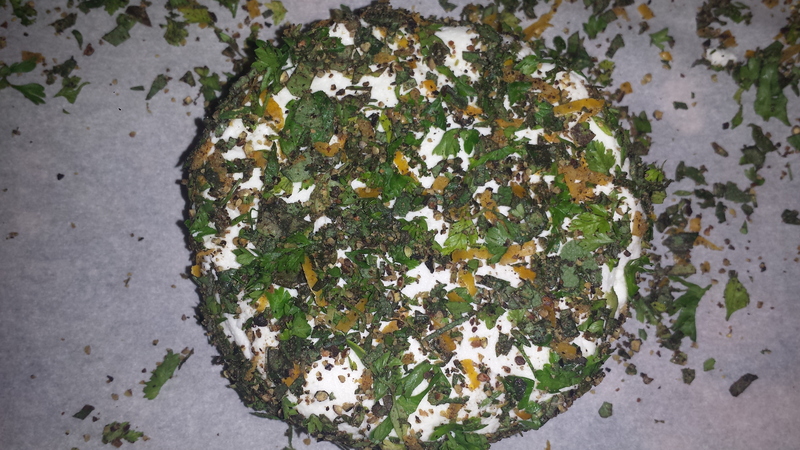 The other day, though, when my son, Eric (who is way more adventurous in the kitchen than I am) asked “How about making our own goat cheese?” I found myself saying “Sure, that sounds fun.” Well we did it and it actually was fun and a minor sort of accomplishment, or rather a small miracle of science. Chevre is the easiest cheese to make so it was a good place for us to start. It was surprisingly easy and only two ingredients are called for, goat milk and a direct set culture, plus a bit of waiting time. If you’re impatient, this is not for you as it take up to 20 hours for the culture to grow and. another at least 6 hours to let it drain. If you aren’t interested in making your own cheese, just skip on down to the store, buy some local chevre and dress it up at home with some herbs and spices, or even edible flowers if you can find them. 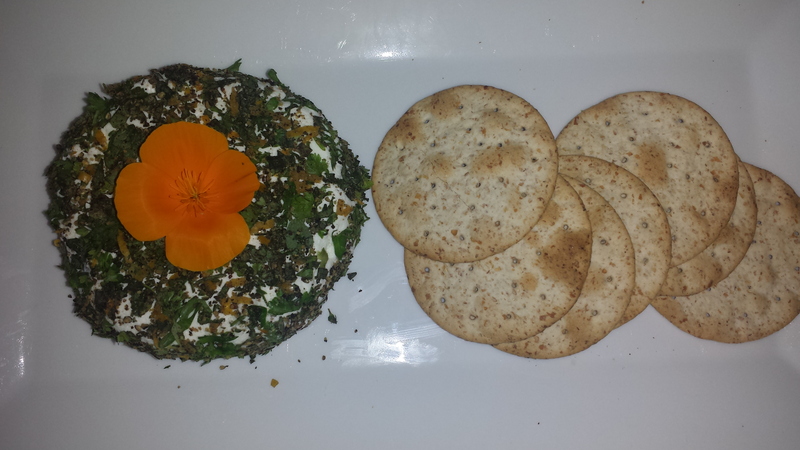 (see Lemon and Herb Crust recipe below) It’s a super easy appetizer that looks fancy and tastes delicious! 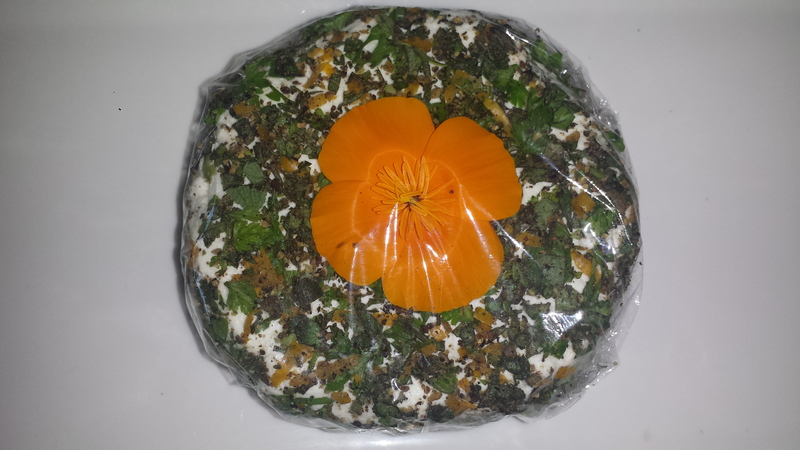 Homemade Chevre would make a great gift for those so inspired. 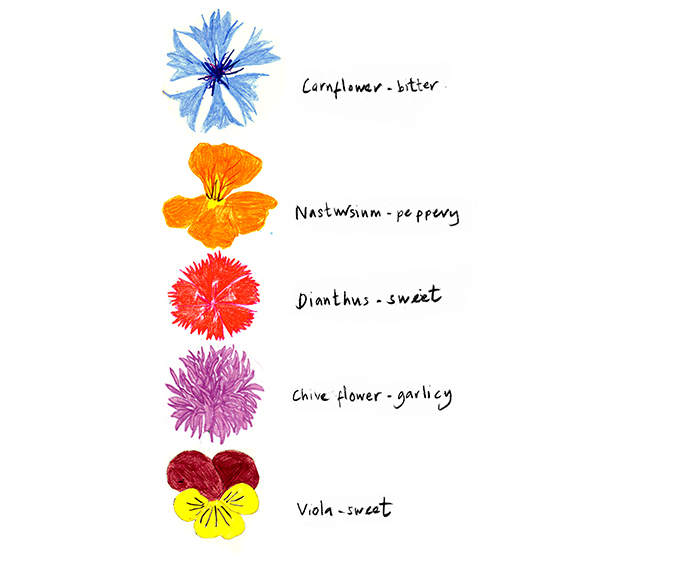 Click HERE for a list of edible flowers. You may have some growing right in your backyard! 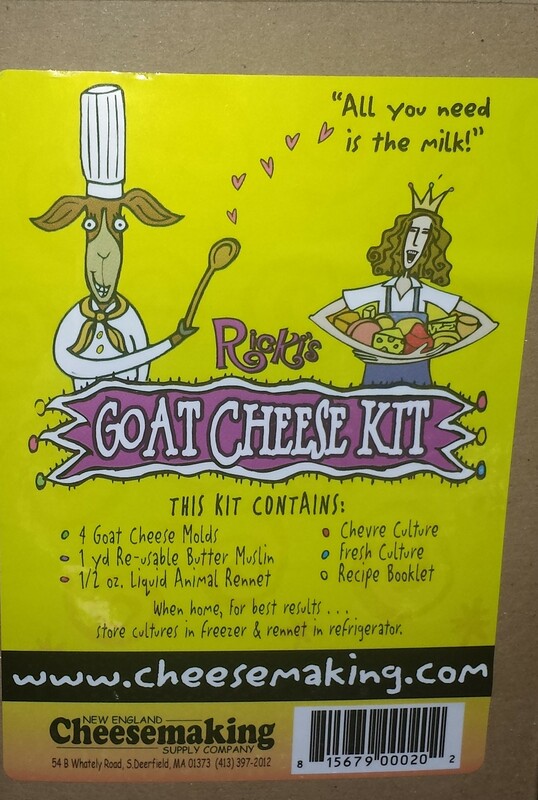 I bought a goat cheese kit made by the New England Cheesemaking Supply Company from J & M Brewing Supplies in Novato, California where we were buying beer making supplies. (Yep, you’ve got it. Eric is also making beer.) 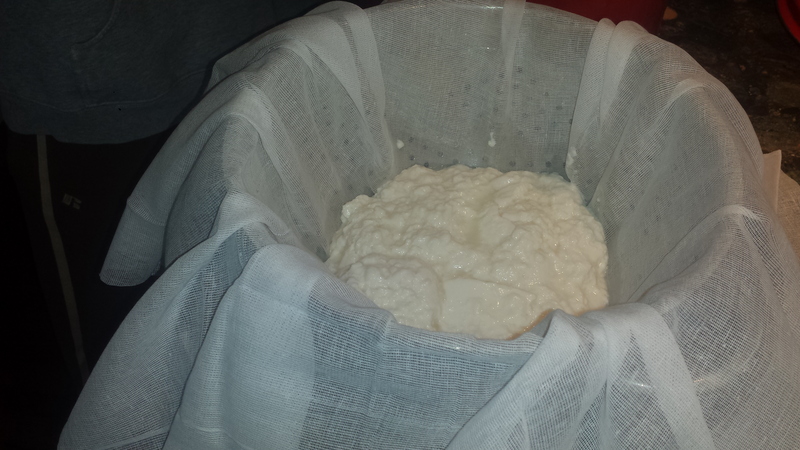 But all you really need is the culture, milk and some cheese cloth. If you don’t have a local connection, you can order from New England Cheesemaking Supply Company or other online suppliers. 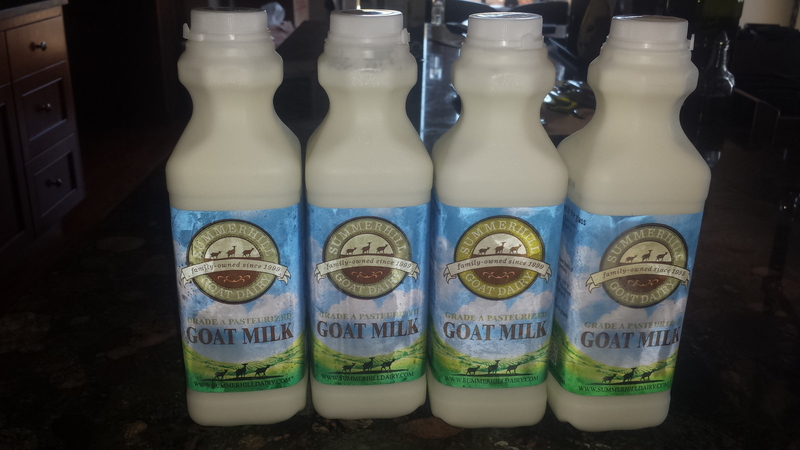 We chose Goat Milk from Summerhill Farms, a family farm in Hanford, California that is “Certified Non-GMO Project” and “Cerftified Raised Humane and Handling” for their goats. Their milk also has no additives like preservative or residual antibiotics or growth hormones. 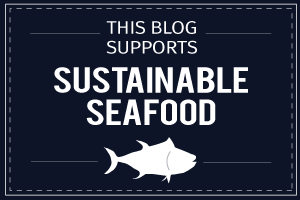 I also like supporting family farms and would love to encourage more small hands-on farms and fewer (read none) factory farms. 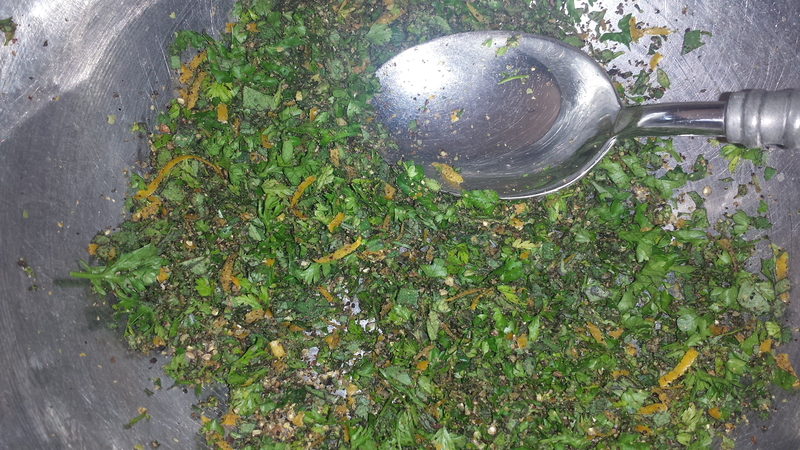 Combine all herbs and spice, including the zest and mix well. 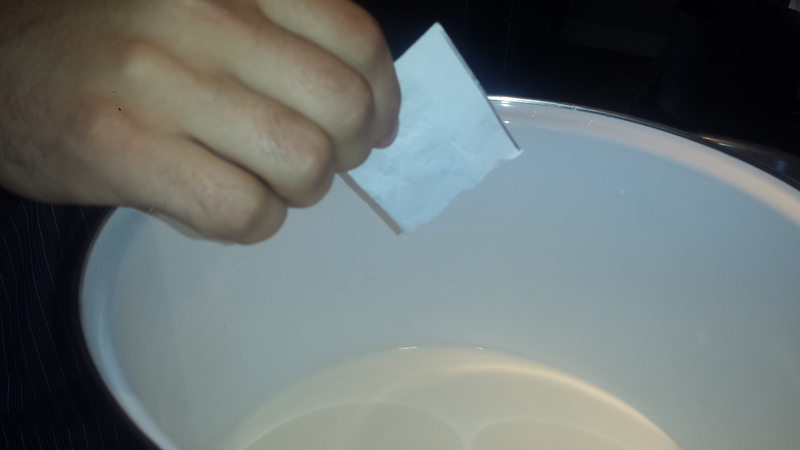 Spread it evenly on a piece of waxed paper. 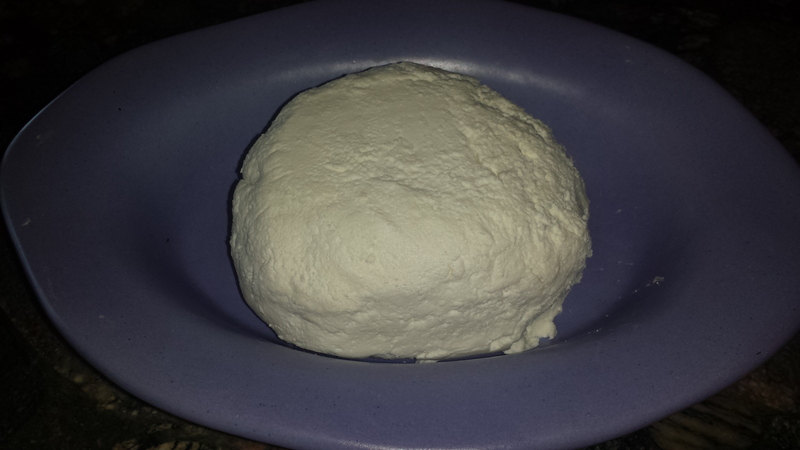 Form chevre into rounds or tubes and roll in the wax paper until chevre is coated evenly. Top with flower, if using. 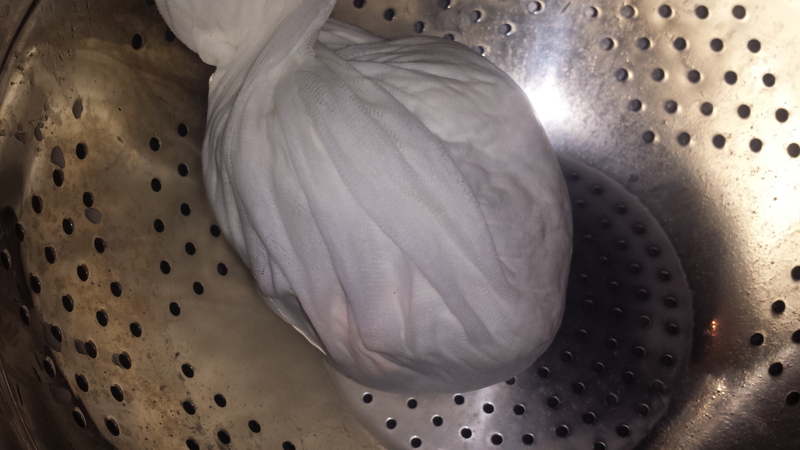 Wrap in plastic and store in the refrigerator until ready to use. Serve with crostini, bread or crackers. 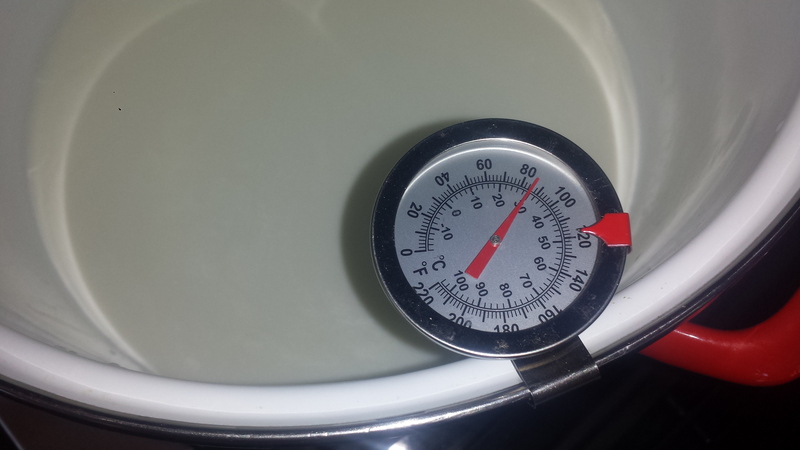 Heat milk to 86 degrees Fahrenheit. Remove from burner so it doesn’t keep getting hotter. If it gets too hot, let it cool until its the right temperature. 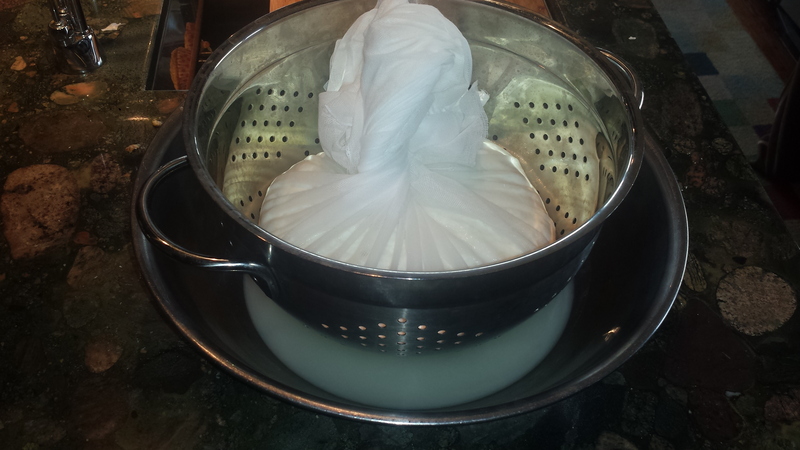 Ladle the curds gently into a colander lined with butter muslin. 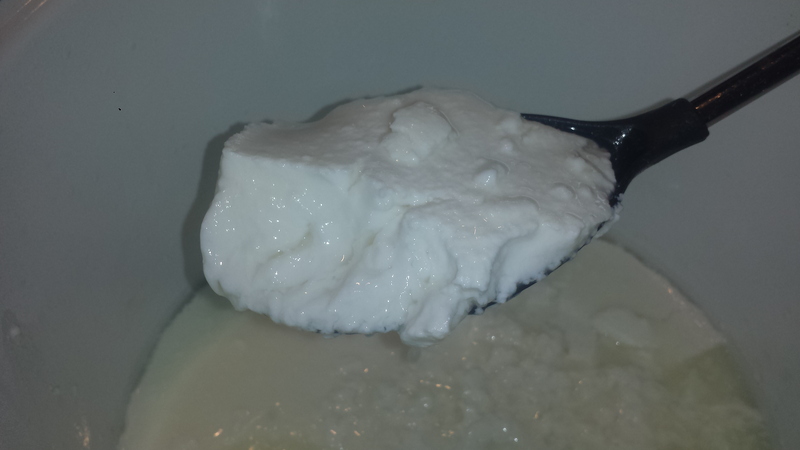 Allow the curds to drain for 6 to 12 hours, until it’s the desired consistency. Place the cheese in a bowl and add salt to taste. This cheese can be divided into smaller portions and frozen (add the salt after thawing). 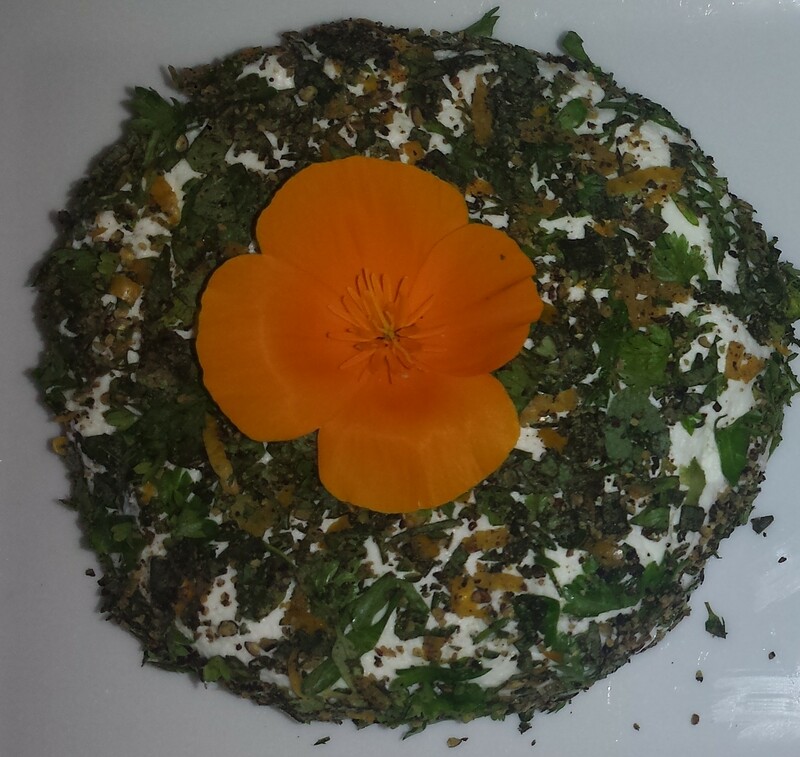 This entry was posted in All Recipes and tagged Chevre, edible flowers, goat cheese appetizer, goat cheese coated with herbs, homemade chevre, how to make goat cheese, vegetarian. Bookmark the permalink.